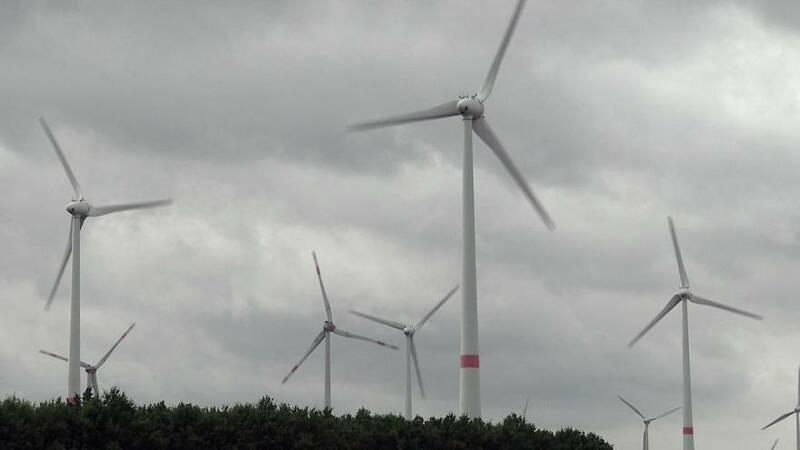 Germany's renewable revolution: Can clean energy stand alone in a coal dependent nation? This year’s United Nations Climate Change Conference is held in Bonn in Germany, and you can expect some research papers and workshops to focus on one village in particular. It can be done. It is possible today. A little over 120 people live in Feldheim, along with several hundred animals of course. But it is also a massive producer of renewable energy. Only one percent of the renewable energy produced here is used by the village itself, the rest is sent to power other towns and villages. Barbara Ral is the climate protection manager for the region, and she proudly takes guests on tours of the village. She shows off Feldheim’s heating central where the warm water tank is located; the biogas plant that turns waste from pigs and cows into heating and electricity; and of course its wind turbines and solar panels. The first wind turbine in the village was built in 1995 by a local entrepreneur. There are now 55 wind power plants and 284 solar panels in the village, as well as a biogas plant. In 2010 Feldheim even built its own electricity grid and stopped “importing” energy entirely. Electricity prices are lower here than anywhere else in the region, and there is a certain pride in the village that it is at the forefront of Germany’s renewable energy revolution. In the first half of 2017 Germany generated about 35 percent of its electricity from renewable sources. But while this is still lower than some countries, it is very high for such a large industrialised nation. Since 2009 renewable energy production in Germany has nearly doubled. Is the country’s energy sector all fine and dandy, however? Not so fast. There is another side to this story. The big elephant in the room is coal. Jänschwalde open pit coal mine is located just a few hours drive East of Feldheim, but the contrast could not be greater. Each year around 11 million tonnes of lignite, or brown coal, is extracted here and burnt in the nearby power plant. Around 40 percent of Germany’s electricity production comes from coal and about half of that from brown coal – the dirtiest type. Coal proponents say that the fossil fuel is needed to provide Germany with a stable source of energy. Thoralf Schirmer, spokesperson for Lausitz Energie Kraftwerke AG (LEAG) who own the Jänschwalde coal plant says that while renewable energy is abundant, is it not yet perfected. Environmental organisations disagree with Schirmer’s stance. Either way, natural gas would be a better backup than coal. Germany has committed to reducing its emissions but it is unlikely to hit targets unless coal is phased out quickly. According to Raddatz, the time to make the change is now. So is Germany a renewable energy wonderland or it is a place that still needs to burn coal to provide energy to its citizens and industry? Well, the answer is a bit of both. And it is most likely going to continue like that in the near future.